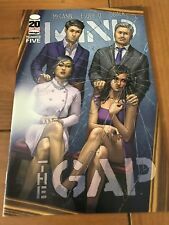 MIND;THE GAP # 6 NM (2012) 1st PRINTS, SONIA OBACK VARIANT COVER. SOLD OUT! !